Step 1) Wash your piece by hand, soaking it in lukewarm water and working in some mild soap. I used Ivory. Step 2) Rinse the piece out very well. If you’re worried about the colors bleeding, keep soaking and rinsing until the water runs clear. Step 3) Gently squeeze out some of the water. 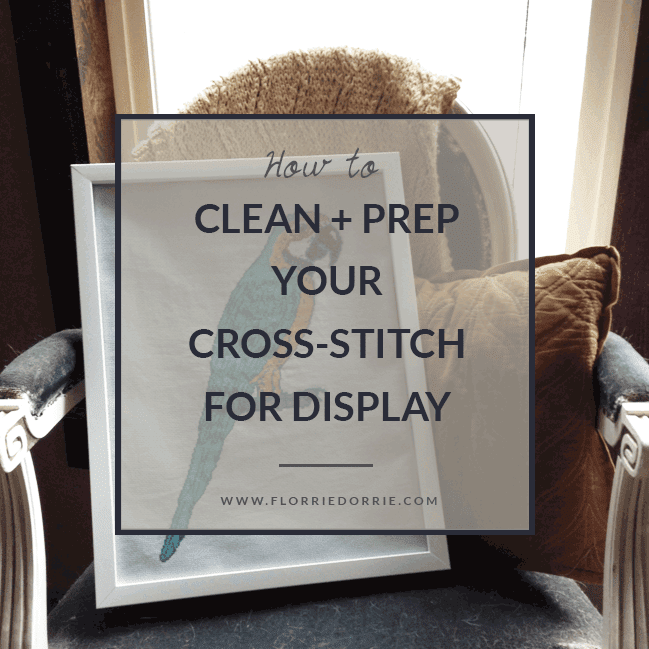 Lay the piece out flat on a clean, WHITE towel (you don’t want the color of the towel to leach onto your cross stitch!). Roll the piece up into the towel. Step 4) To get out more of the excess water, press on the rolled up towel. Step 5) Lay your piece out flat to dry – in a SAFE place, i.e. inaccessible by dogs, small children, etc. This drying process will take several hours. Step 6) Once your piece is almost completely dry, iron out any wrinkles by placing a piece of white fabric (I used muslin) in between the cross stitch piece and your iron. Set the iron on a low-medium setting and turn off the steam. Step 7) Enjoy your lovely, finished piece of fabulous cross-stitching! As a fellow small business owner, she knows you need something chic and ready to go. Grab your theme and get back to doing what you do best - running your business! © 2017 DorrieSiobhan LLC. All Rights Reserved.